Microwaves are used in most households to cook and reheat food. They’re both quick and convenient and hence, are used frequently by people who have one in their home. Microwaves don’t burn food which makes it easier to clean the dishes. Even though microwaves are on the low energy end, they’re a producer of electromagnetic radiation. Every microwave uses waves which are generated internally. This could lead your family to pay a high price for the convenience and speed and should make you think before using microwaves to heat everything up. Some common side-effects of microwave overuse that you’ll start to feel are nausea, impaired cognition, swelling of the lymph nodes, a weakened immune system, dizziness and headaches. This is because a microwave has the following harmful effects on food. Most studies conducted show that microwave heating or cooking destroys the vitamins present in vegetables. This is especially true in case of Vitamin C, which is a powerful antioxidant. Additionally, it also destroys flavonoids, sugars, chlorophyll and proteins. However, it must also be noted that boiling or stir-frying is no better at preserving the nutrients. Boiling must be avoided because the nutrients are lost in the water and stir-frying since the high temperatures destroy them. Waterless methods and steaming are the best ways of cooking vegetables as it allows them to retain most of their nutritional value. Milk and other dairy products contain low levels of probiotics. They can also promote the growth of certain harmful bacteria. Microwaving milk at low temperatures dramatically decreases lysozyme activity and promotes the growth of some harmful bacteria. Microwaving breast milk at a high temperature has a higher growth of E coli and is extremely harmful for infants. Plastic containers which are used in microwaves have been found to release carcinogens along with many other harmful toxins. Therefore, it’s a bad idea to place food in the microwave in a plastic container. Also, the thin and semi-permeable plastic or foil used by many makers of instant food release numerous chemicals when placed in the microwave and heated along with the food. These chemicals can also cause harmful hormonal changes in your body. 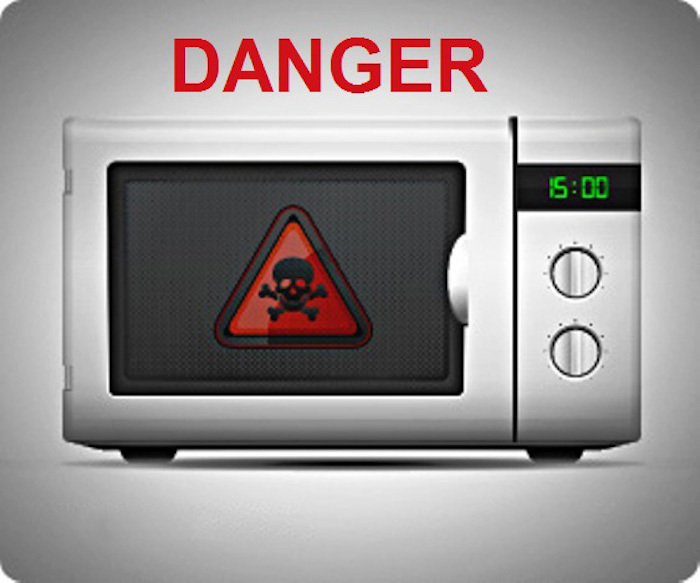 If you choose to use the microwave to heat your food, use microwave-safe ceramic or glass containers. While you may enjoy a little bit of extra time you save from cooking or reheating with a microwave, remember not to make the daily tasks revolve around this single invention. Along with the benefits of helping in your daily life, it certainly has many disadvantages which become apparent when it’s being used regularly. Private chefs at home must be aware of these ill-effects of microwave heating. If your chef does not, then he/she must be cautioned on the over-use of the oven.